What Is an MDL Class Action? Multidistrict litigation, called an MDL, is a special legal procedure used in mass tort cases to streamline the handling of large and complex cases. An MDL is a “sort of” class action lawsuit. It is a class action in that the cases are all brought together under one judge for pretrial discovery. But typically after a few bellwether trials of individual plaintiffs, the cases are send back to their local jurisdiction for trial if a settlement if not reached. The hope of the MDL process is that the parties can figure out the value of the claims so a global settlement can be reached with most of the plaintiffs. The idea of an MDL was actually ‘ idea. The concept was born in 1968 when lawmakers created the MDL system as a way to speed up and coordinate complex litigation that was filed in multiple federal judicial districts. 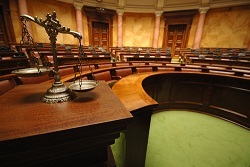 MDLs are utilized in scenarios where a single defendant or group of defendants commits a single tort or does a single act that affects a large group of people. When all of those individual people then go to sue the defendant, it makes more sense to consolidate their cases. This streamlines the process and avoids different rulings regarding similar aspects of the case. Discovery is the most expensive aspect of litigation. In an MDL, discovery between the plaintiffs is consolidated, meaning the parties will avoid having to discover the same documents and information over and over again. Plus, being lawyers, disputes tend to arise during discovery. In an MDL, one judge can make rulings on those discovery disputes, which prevents the various parties from dealing with different judgments from different courts. Think about it. If you have 2,000 cases and you are deposing the same key witness in every case, the cost the the litigation becomes prohibitive for the plaintiffs and the defendants. But the plaintiffs are the ones that really suffer. Because lawyers will not take cases that have a settlement value of $500,000, for example, if the cost to prepare the case is half of that amount. So defense lawyers usually are willing to pay more to defend the case because they want the plaintiffs to pay more to bring the cases. It is a crazy psychology but you see drug and medical device companies consistently trying to stall the inevitable by fighting MDLs in early stages of litigation. Of course, there are pros and cons for both sides when consolidating proceedings as an MDL for both sides. Again, for most defendants, it is usually less expensive to litigate issues before one court instead of many. Plus their witnesses do not have to be deposed multiple times, something defendants hate due to concern of inconsistency. If you testify 100 times, you are bound to contradict yourself no matter how honest you are. But defendants will still fight MDL consolidation. Another important reasons defendants will resist is that the publicity surrounding an MDL can often attract more plaintiffs to a lawsuit, which only inflates the price tag of a final settlement or judgment. For plaintiffs, the main benefit is the fact that plaintiffs’ lawyers can pool their resources, increasing their efforts and the amount of manpower they have behind a lawsuit. When taking on a big company, resources are everything. They have millions to throw at litigation, so an MDL helps level the playing field. whether transfer will promote judicial efficiency, economy, and fairness. So when plaintiffs brings a series of cases before the panel, its members decide whether the cases are worth consolidation. The also entails figuring out how similar the issues are and the logistics of actually bringing the cases in front of one court. If the panel determines that the cases should be centralized, they are set in before a single federal district judge. This judge then handles all pretrial motions, discovery matters, and settlement conferences. They ultimately have the power to dismiss cases and decide which ones go forward. Another goal of the MDL system is to facilitate settlements. The parties or the court will select a few cases to go forward as bellwether trials, which are essentially test cases to see how the juries react to certain aspects of the case. Depending on how these go, the parties may be more encouraged to reach a settlement, which would dispose of the litigation altogether. Unlike a class action, which involves one trial for all of the plaintiffs, in the event that an MDL case is not settled or disposed of, it is sent back to its original court, where a trial will take place.